The Turning Point: Where has the laughter gone ? Where has the laughter gone ? "Always find a reason to laugh. It may not add years to your life, but will surely add life to your years." Please don’t be misled by the title of this post. I am not sad and neither have I lost my sense of humour. I still have my sense of humour intact, but I don't laugh out loud like I did years ago. There was a time when I laughed in pure unadulterated joy at the smallest of things but now I don't find things as funny as I once did. In fact when I look around, I see that overall people don’t laugh so much anymore. It is not that we are depressed, well maybe sometimes we are, but most of the times it is just that we are so distracted and caught up in our chaotic everyday life trying to make ends meet, trying to beat deadlines, multitasking, and living up to expectations that we do not notice the funnier side of life. We are never fully present in the moment. Most of my phone conversations with my family happen with me working at the same time doing this or that. Another reason could be that for something to be funny there has to be a surprise or unusual angle attached to it. Sadly most things do not surprise me now as I get older. There is a sense of “been there, done that”. It is not that I am becoming blasé but I just don’t find things that funny anymore. 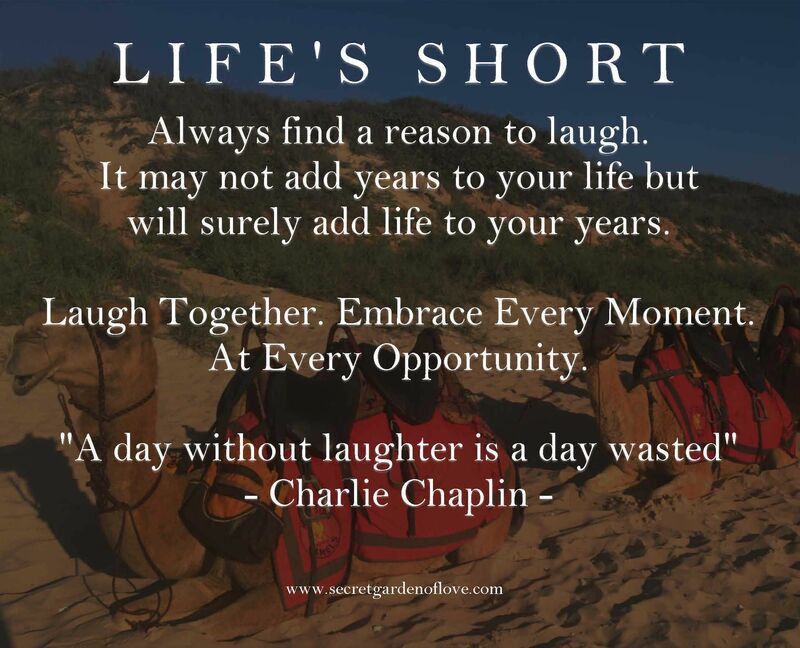 When was the last time you really laughed ? and by laughed I mean that loud belly aching laugh..it seems it is missing from life these days. It is as if we are living without truly being alive.